We now accept credit and debit card payments. There is an additional charge per transaction. We are proud to be serving our local community and supporting local businesses with an efficient and reliable taxi service, where no job is too big or small. Always at yourservice 24/7. Consider opening a Corporate Account with Hitchin’s Premier 24/7 Taxi Company. As a company Boxall Taxis enjoy an enviable reputation around the Hitchin area thanks to it’s friendly staff, flexible services and well maintained, modern taxi fleet. 8 passenger seater minibus available for group bookings at competitive rates, cars for all purposes, no job too big or small, local and long distance, a truely all round service. Corporate contract work accepted including small parcel delivery, we are your total travel solution partner. 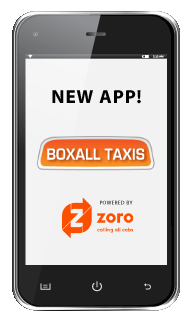 The mobile app that drives a better taxi experience. Zoro is free to use, you just pay the metered fare. Contact us for more details. 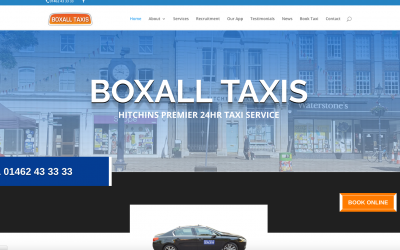 Boxall Taxis has many regular customers throughout Hitchin thanks to a reliable, friendly and professional approach. Boxall Taxis travel to all major UK airports with a personal door to door service. All advance bookings are confirmed. Providing a hassle free taxi booking service that maintains a professional approach for your company. We are also able to deliver small packages and parcels at competitve rates.. I have been using Boxall taxis for over 3-4 years now and all the drivers are friendly. The operators always know who it is on the phone and they help you alot when to look foor prices and other firms if they are booked. Also the drivers are really friendly and are good to have a chat with in the taxi, they are very handy as they lift shopping, buggies etc. I think that boxalls taxis is really reliable and trustworthy. All the drivers are really friendly and very helpful. They deserve to be the best of Hitchin. I recommend it to everyone. We have always used Boxall taxis,for work, personal,and airport, never let us down ,if they say 5 mins they mean just 5 mins ,even in bad weather ,they have never let us down, when you phone they always remember who you are ,very friendly bunch, would be happy to recommend them to everyone i talk to, been useing Boxall for 6 years plus. All our latest news…watch this space! Our new website has been launched, let us know what you think!